When it comes to home and design, we’ve come to realize – with some misery and apprehension – that our eyes are much, much bigger than our pockets. Luckily, one can always dream … and that’s precisely what we’re doing! MuseumHouse on Bloor has recently commissioned a trio of leading Canadian designers – Powell & Bonnell, Patty Xenos Design and Munge Leung – to submit their design visions for the condo’s prestigious 2-storey, 5,618 sq ft penthouse unit. The privileged purchaser of this incredible suite will have option of choosing the winning design, and of course, which of the three designers to work with in completing their dream home*. Located in the heart of Toronto’s Museum District, MuseumHouse on Bloor will house a limited collection of just 26 luxurious suites for the elite urban dwellers who wish to experience the epitome of sophisticated living in the city. MuseumHouse prices (excluding the penthouse) range from $2.1M to $6.8M for half- or full-floor homes up to 6,700 sq ft in size. Photos and highlights of each of designer’s stunning interpretation of this extraordinary space can be found after the jump. Submitted by Janice Mackie, Broker of Record for Insite Realty, Exclusive Broker for the Historic Distillery District. The Distillery District is an internationally acclaimed village of brick-lined streets and dozens of vibrantly restored Victorian Industrial buildings. As one of Ontario’s hottest tourist attractions, the Distillery District is home to live theatres, galleries, fashion, design and jewelry boutiques, unique cafes and award-winning restaurants. With Toronto selected as the site of the 2015 Pan Am Games, the popularity of this neighbourhood is sure to intensify. By accepting to host, the city promised to build out the West Don Lands, including the athletes’ village for the Pan Am Games. What will follow includes schools, transportation, retail space and 6,000 homes – in essence, a brand new community – right next to the Distillery District. The visionaries behind the site, Cityscape and Dundee, purchased the 13-acre parcel of land in 2001 and set out to restore all 44 of the Distillery District’s historic buildings. In 2005, Insite Realty was approached to sell the condos at Pure Spirit. Some industry insiders thought the area would not be where people would want to live. They thought it just wasn’t ‘there’ yet: it didn’t have the necessary services, transportation was an issue...and the list went on. That year, Pure Spirit at 33 Mill Street sold out in record time, proving the insiders wrong. Why? Because people who experienced the District fell in love with it and went with their intuition. They knew the area was just starting to get the attention it deserved. It was unique. It was different. It was unlike any area in Toronto. Clear Spirit was then launched in 2007 during a time when interest in the area was greatly increasing. News of the West Don Lands and the revitalization of the 80-hectare site just east of the District gained people’s interest. Waterfront Toronto’s vision of the West Don Lands was exciting, and the launch of Clear Spirit was successful. 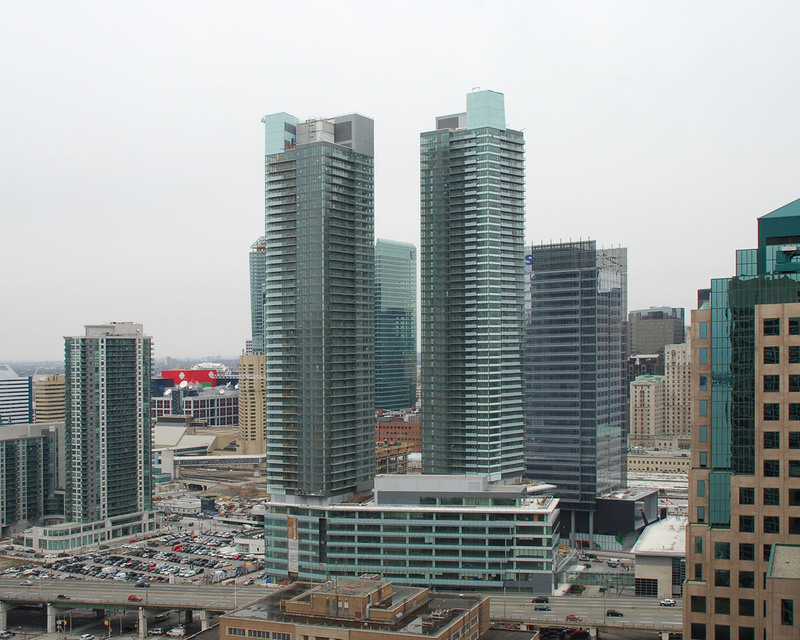 Gooderham followed in 2008, and today, there are a limited number of units still available here. With an expected completion date of November 2012, you’ll find a range of suites including two-storey units with terraces, and tower units with incredible views and wrap-around balconies. The average price in this community is now just over $500 per sq ft! As evident in the case of Pure Spirit and Clear Spirit, the next time you hear the nay-sayers say “it’s not there yet” or “don’t buy now”....go with your gut feeling and don’t rely on others, including the media, to make your decision. Sometimes only you know what is right for you. For more information on the Distillery District, please visit http://www.liveatthedistillery.com/. Additional photos can be found after the jump. Janice Mackie is the Broker of Record for Insite Realty, the Exclusive Broker for the Historic Distillery District. Janice can be reached at jmackie@trebnet.com. All photos courtesy of Insite Realty. Think you’d be interested in earning $2,500 for referring someone to buy a condo? Well, now’s your chance! As you may remember, Backstage Condos, the latest development from Cityzen, CastlePoint and Fernbrook, was given its name this past summer with their popular NameOurCondo contest. Now, online followers have an opportunity to win more prizes and can even earn $2,500 in cash, simply for referring their friends and contacts to register on the Backstage website. There are over $250,000 in cash and prizes to be given away, so if this sounds like a “suite” deal to you, visit http://www.backstagetoronto.com/ for more detailed information, or follow the jump to watch a quick video demonstration. 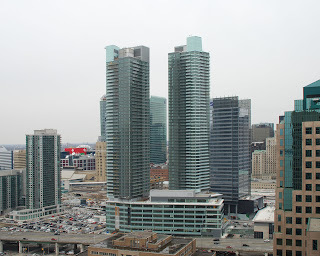 This week, let’s head east to Scarborough's City Centre for a look at Tridel's 360 at City Centre. Completed in Spring 2006, 360 at City Centre is located at the northeast corner of Brimley and Ellesmere Roads, providing incredble convenience to its residences. Access to banks, restaurants, groceries, gas stations and shopping at Scarborough Town Centre and various 'big box' retailers is just minutes away, while the building's proximitty to transportation including TTC buses, Scarborough RT and Hwy 401 allows residents to travel to other parts of the city with ease. In the past 30 days, a total of five units have sold at 360, with prices ranging from $241,000 for a 1+Den suite to $320,500 for a 2+Den unit of about 710 to 1,030 sq ft, respectively. Three units were also leased over the past month, from $1,350 for a 1+Den to $1,600 for a 2-BR suite. Of these units, those for sale spent on average 27 days on the market while those for lease spent on average 9 days. If you’re wondering how property values have held up over the past couple years, a 1-BR unit that sold in December 2007 resold last month for $37,000 more than it did almost three years ago, while a 2+Den that sold in January 2009 resold last month for $42,500 more than it did about 21 months ago. For more information on 360 at City Centre, please click here. It's official! While patrons and residences have already been enjoying the delicious food and entertainment at this incredible venue for some time, Maple Leaf Square finally marked the official grand opening of its landmark complex earlier today with a big bang. Located next to the Air Canada Centre near York St and Bremner Blvd, the sports and entertainment destination features two tower condominiums, Real Sports Bar & Grill and Real Sports Apparel, along with a Longos grocery store, Starbucks and Hôtel Le Germain. This new development was a joint venture by Maple Leaf Sports & Entertainment, Cadillac Fairview and Lanterra Developments. Today's highly anticipated event was celebrated with a showcase of precisely what this complex represents, and included an autograph session with Toronto Maple Leafs legends Darryl Sittler and Wendel Clark, as well as a fanfare of delectable eats. Click here for more details about the residences at Maple Leaf Square, and follow the jump for more photos from the event. This week, let’s head west to Mississauga’s City Centre for a look at Daniels Corporation’s One Park Tower. Completed in Summer 2008, One Park Tower’s classically-inspired gothic façade features soaring arches and gargoyle accents. The development embraces an active lifestyle, neighbouring Mississauga City Centre’s popular Square One Shopping Centre along with a wide variety of other dining, entertainment and sports venues. In the past 30 days, a total of eight units have sold at One Park Tower with prices ranging from $222,000 for a 1-BR suite to $312,000 for a 2+Den unit of 565 to 961 sq ft, respectively. Five units were also leased over the past month, from $1,425 for a 1+Den to $1,700 for a 2+Den. Of these units, those for sale spent on average 28 days on the market while those for lease spent on average 6 days. If you’re wondering how property values have held up over the past couple years, a 1+Den that sold in March 2009 resold earlier this year for $40,000 more than it did a year prior, while a 1-BR unit that sold in December 2008 resold this past summer for $13,000 more than it did almost two years ago. For more information on One Park Tower, please click here.